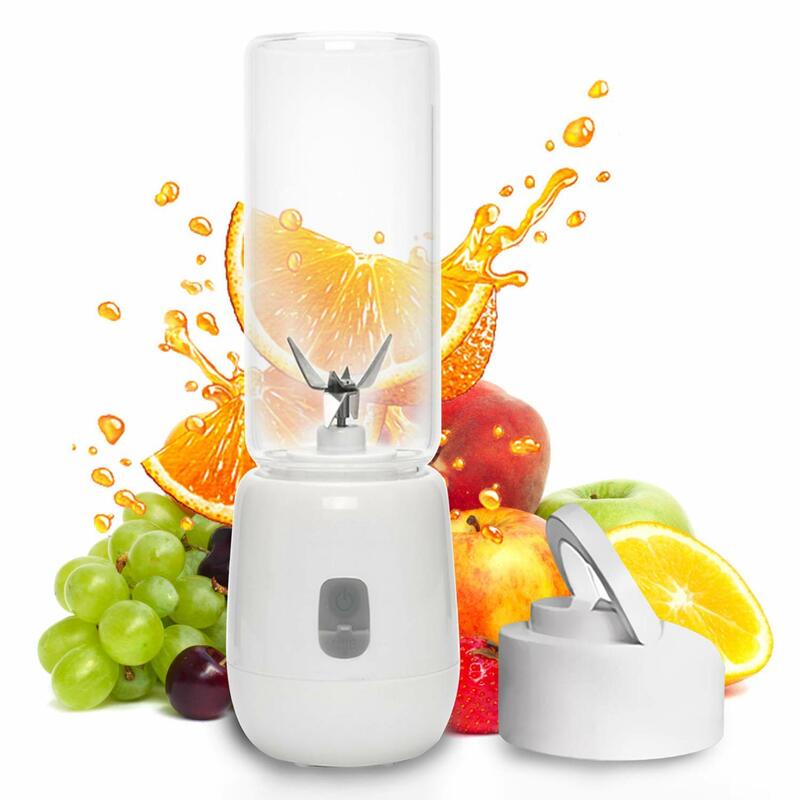 This 6-blade system and glass bottle Travel Juicer Blender are ideal for crushing hard fruits and vegetables, ice and all sorts of ingredients, transforming them into vitamin-filled drinks, good for the whole family. Cut fresh fruits into small pieces. Attach the blender compartment and give the bottle a quick shake. Press and HOLD the power button to start the blender. Whirl and gently shake the blender to make sure that there are no clumps. If the power button flashes red: Recharge, reduce the amount of content to 80% of the cup’s capacity or screw in the cup properly. Only wash the blender’s blades and cup. ADD TO CART NOW and you will reap all the benefits this portable blender has to offer! 【TRAGBAR ABNEHMBAR】If you’ve decided to embrace the benefits of a healthy lifestyle, you should know about the importance of including fruits and vegetables in your daily meals. This portable blender easy to take and use, can make a cup of smoothie in 10 seconds. Unique detachable bottle, perfect for people who is always on the go. ★TIP 1: The blender auto-stops after working for 5-20 seconds, the time depends on the volume occupied. If it stops, just press again to continue blending.